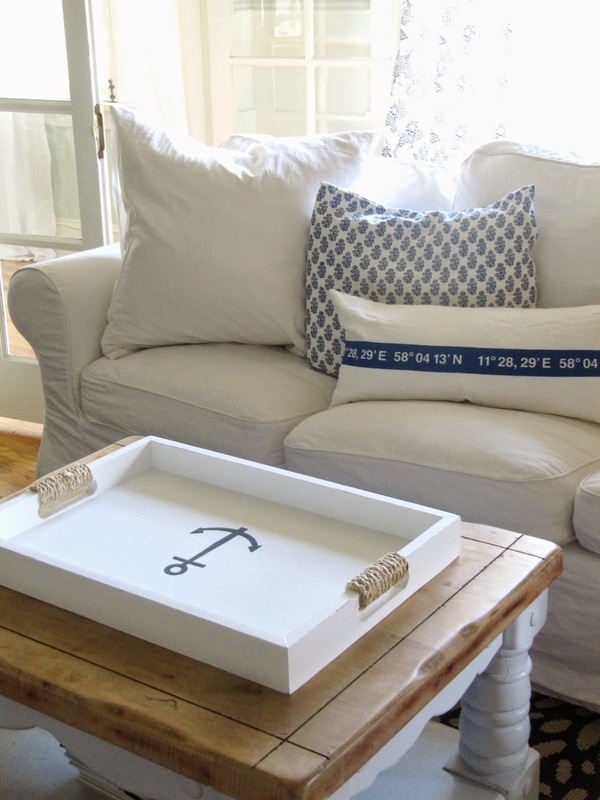 I am so excited to share my little tray makeover with you all today. I'm kinda in love with it. I first sanded this black tray and them painted it in a white chalk paint. 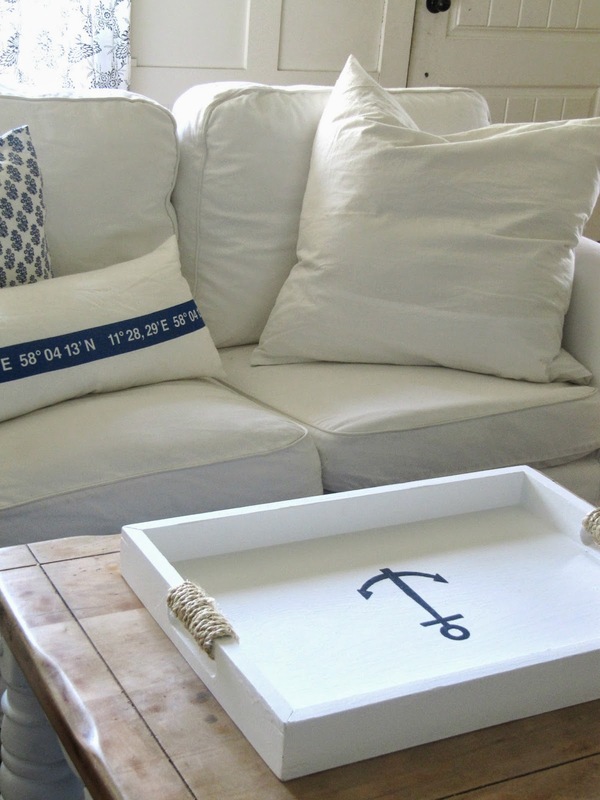 I think I bought the tray from Pottery Barn, but that was forever ago. 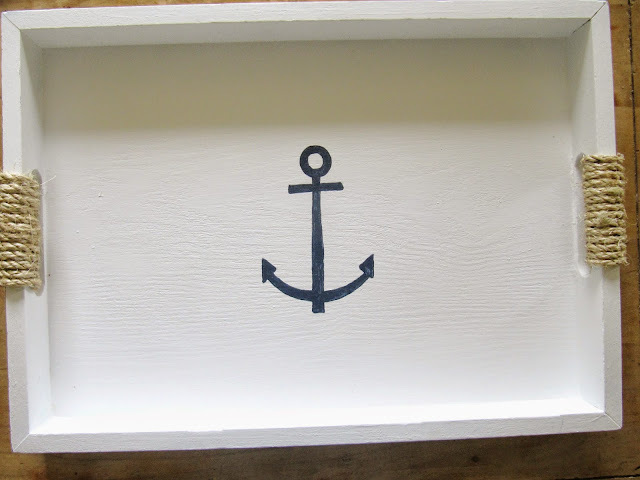 I then decided a simple anchor stenciled in the center would look great on the tray. Step 1. find an image online and print it out to the size you want your image to be. Step 2. using a pencil, scribble on the back side of the image, making sure to cover the whole image. 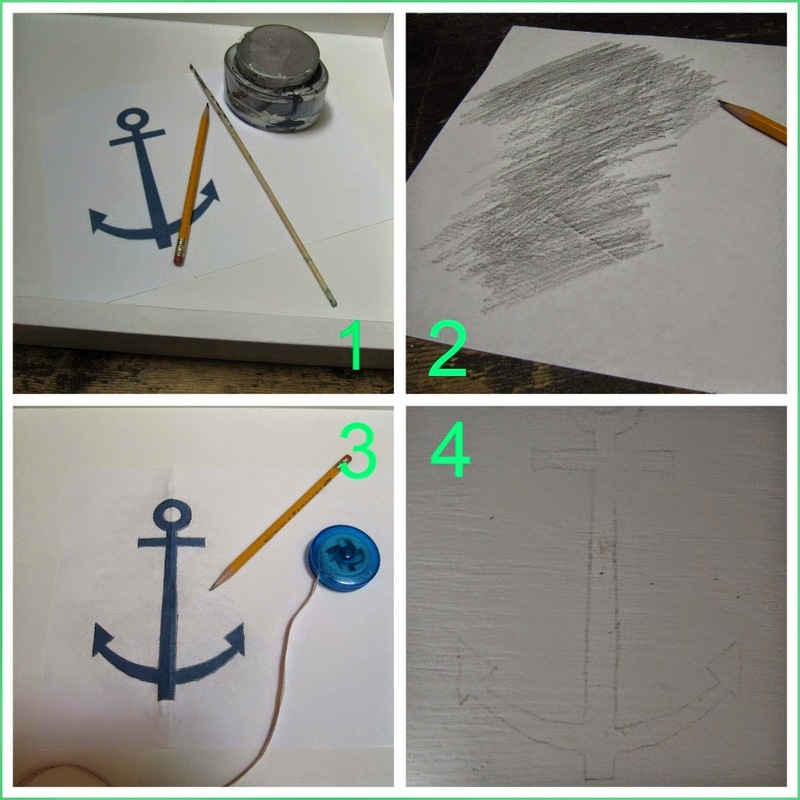 Step 3. tape the image into place where you want your image to be, then using a sharp pencil trace out the image. Step 4. remove the paper and you should now have a traced image. Now using a small paintbrush, fill in the image with paint. Once I was finished I sprayed the whole thing with a clear sealer. Continuing with the nautical theme, I decided to wrap rope around the handles. 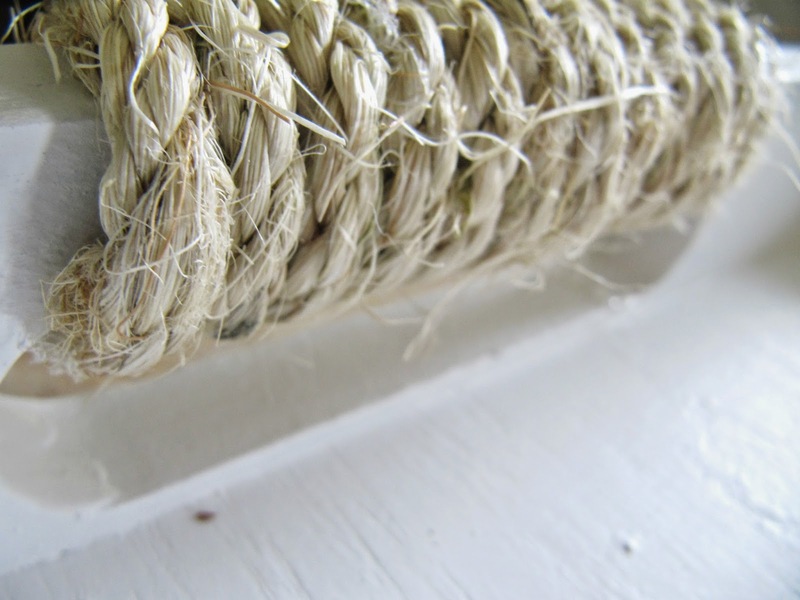 I used hot glue to secure the rope to the tray. I'm pleased with the added touch. The finished tray fits in perfectly in my living room. I've been really busy working on so many projects lately. So stay tuned, I have plenty more to share. This is a great idea and one I'll have to try. Simply beautiful with just the right touch. 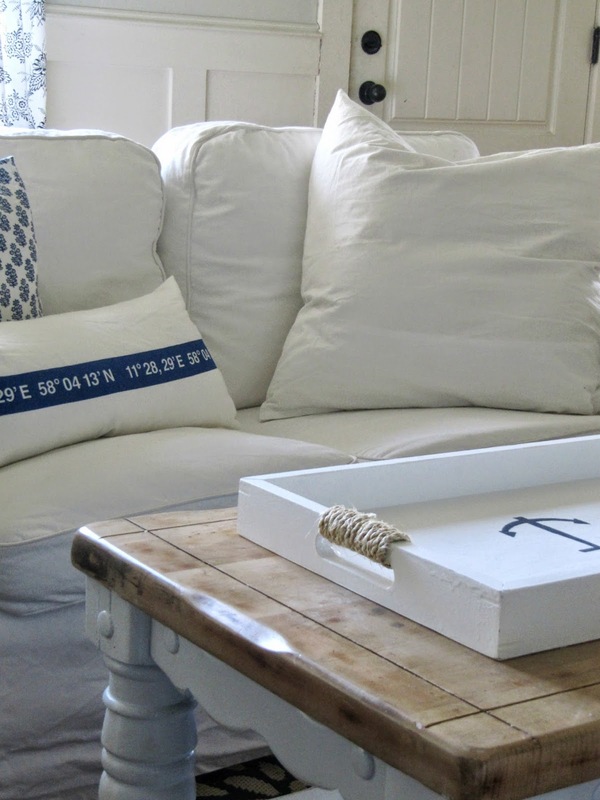 Love this…where did you get the pillows? I love your tray and the pillows on your sofa behind the table. I made a tray for my daughter (now I wish I had kept it) from a wooden wine box and just drilled holes to add the rope handles. So crisp and clean....great job! I made one and the nautical one is from Ikea years ago. No longer available.